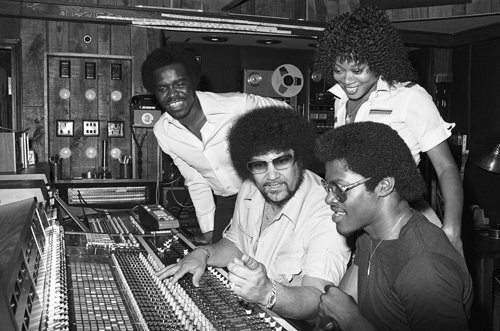 Joe “Pep” Harris (left) looks on as mastermind producer Norman Whitfield (sitting, center) mixes an Undisputed Truth track. Featured in this 2-part series: Joe “Pep” Harris, the soulful original lead singer of Motown soul-funk vocal group Undisputed Truth. Under the direction of legendary producer Norman Whitfield, the group achieved notoriety out of the gate when the haunting and foreboding ballad “Smiling Faces” soared to No. 3 on the U.S. pop charts in 1971. Undisputed Truth went on to release eight albums during the 1970s and post three other U.S. top 40 R&B hits: “Papa Was a Rollin’ Stone,” “Help Yourself” and “You + Me = Love,” which featured Chaka Khan’s sister, newcomer Taka Boom, on lead vocals. While the first half of the decade saw the act focused on sometimes elaborately arranged and orchestrated soul with lots of cover tunes, in the latter half of the 1970s the group shifted to a heavier emphasis on dance and funk music. While Harris was the lone vocal constant among core personnel changes, the musical transformation was accompanied by a radical visual component in which members wore giant afro wigs, silver spacesuits and body paint. The sound and aesthetic was arguably the closest rival to Funkadelic outside the realm of George Clinton. 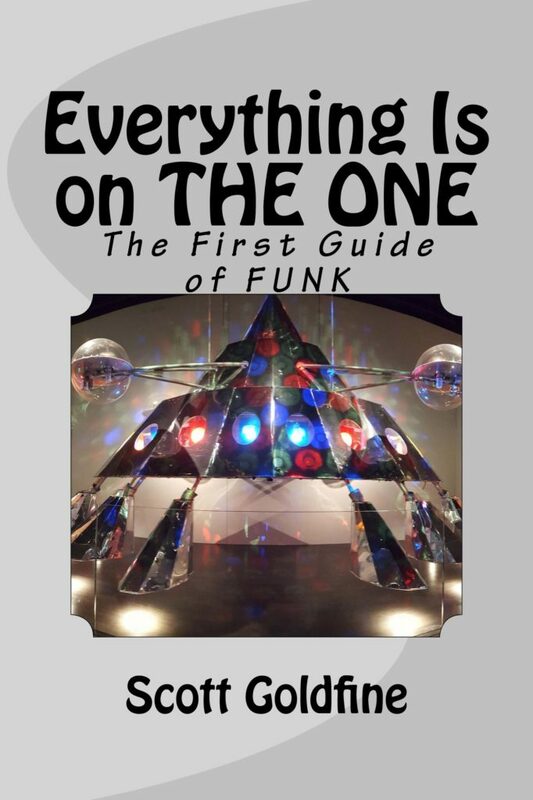 And a lot of the musicians responsible for the fantastic funk grooves, like Melvin “Wah Wah” Watson, also contributed to Whitfield’s budding empire that also included Rose Royce and Stargard. But by the early 1980s it all came crashing down. Harris is a lively and colorful character whose experience dates back to the 1950s and has met, seen or worked with a who’s who of doo wop, soul, R&B and funk music. Among the topics he discusses are how he honed his stage skills as part of one of the 1960s’ best acts without a hit, The Peps; his time with the Ohio Untouchables/Ohio Players; how he was courted by Norman Whitfield and drafted into the Undisputed Truth; what it was like working within the legendary Motown system; how he developed and took direction from Whitfield’s composing and studio genius; the albums, songs and performances that made the group great; his most unforgettable experiences; what tore the group apart; his extensive studio work at Detroit’s United Sound with a host of George Clinton acts during the 1980s and 1990s; and what he is presently working on. Get your Undisputed Truth music from the Stuffs & Thangs Store!